Share Market Update: Sensex closed 160 points above at 38,767, the Nifty ended 45 points above at 11,643 levels in the trade today. The Market breadth, indicating the overall strength of the market, was positive. 1257 stocks advanced while 1136 declined. Overall 18 closed in the green out of 30 stocks on Sensex and 28 advanced out of the 50 stocks on Nifty. On the sectoral front, BSE FMCG, Auto and Power index were among the top gainers on the BSE. 3:15 pm: Bajaj Consumer Care shares rallied 3 % intraday on after promoters released a pledge on 5.5 percent equity. 3:00 pm: Nifty is trading up by 38 points and Sensex is up by 160 points. 2:55 pm: 35 sectors advance against 8 declining, top gainer is BSE FMCG up 1.57% and top loser is BSE Telecom at 0.80 % decline. 2:40 pm: After a block deal, in which 7 lakh shares of the company changed hands, shares of PC Jewellers rose as much as 12.3 percent intraday high of Rs 108.30. 2:30 pm: Shares of Prabhat Dairy rose almost 5 % intraday as the informed today the sale of the company's shareholding in its subsidiary, Sunfresh Agro Industries Private Ltd. to Tirumala Milk Products Private Ltd.
2:10 pm: Indian equity benchmarks recovered from day's low. Sensex rose nearly 100 points and Nifty traded above 11,600. 2:00 pm: DHFL shares fell over 4% intraday after the rating agency Brickwork downgraded ratings on the company's NCDs and subordinated debt instrument. The stock has fallen after 3 days of consecutive gain. 1:55 pm: Overall market cap is positve at 0.12 %. Out of 1730 stocks, 1257 are trading in the green against 1136 trading in the red. 1:40 pm: Rites Ltd's order book has substantially improved from Rs. 4818 crore as on 31St March 2018 to Rs.6142 crore at the end of the FY19. Despite that, the shares of Rites fell 2.6 % to day's low. The Miniratna PSU under Ministry of Railways, has been gaining or the last 3 days and had a trend reversal today. 1:25 pm:Market Breadth has turned flat as 22 sectors are advancing (Top gainer: BSE FMCG 1.13 %)against 21 declining (Top loser: BSE Telecom -0.83%). 1:15 pm: BSE Auto has been gaining consecutively for the last 5 days. 1:05 pm: BSE Telecom is the most volatile index of the day at the rate of 1.60%. 12:50 pm: Stocks that have consecutively falling for 5 days are SAIL, Gruh Finance, and Balkrishna Industries. 12:45 pm: HUL, Wirpo and SBI Life Insurance are among the stocks that have risen for the past 5 days. 12:30 pm: Vakrangee Ltd. is up almost 8 % intraday. As per BSE, there has been surge in the traded volume (31.8 lakh shares on BSE) by more than 1.81 times. The stock gained consecutively for 6 days at a rate of 30%. 12:15 pm: The NSE Nifty PSU Bank Index fell for the 3rd consecutive trading session, led by the decline in Jammu & Kashmir Bank and the Central Bank of India. 12:05 pm: The top losers of the BSE Sensex pack were Bharti Airtel Ltd. (Rs. 343.00, 1.29%), Tata Motors Ltd. (Rs. 102.60, 1.20%), Tata Motors Ltd. (Rs. 215.80, 1.10%), Larsen & Toubro Ltd. (Rs. 1365.00, 0.93%), HCL Technologies Ltd. (Rs. 1079.40 0.88%), among others. 12:00 pm: The top gainers of the BSE Sensex pack were ITC Ltd. (Rs. 299.70, 1.15%), Asian Paints Ltd. (Rs. 1436.95, 1.01%), Maruti Suzuki India Ltd. (Rs. 7222.05, 0.60%), Hero MotoCorp Ltd. (Rs. 2617.45, 0.56%), Bajaj Auto Ltd. (Rs. 2998.00, 0.37%), among others. 11:55 am: ICICI Lombard General Insurance, Zodiac Clothing Co, BIL Energy Systems, OCL Iron and Steel, Tarapur Transformers are among the stocks that hit 52-week high today. 11:40 am: 18 stocks are trading in the green out of 30 on Sensex and 27 stocks are gaining of the 50 stocks on Nifty. 11:20 am: Top gaining sectors are Realty, Oil and Gas, FMCG. Top declining sectors are Cap goods, Telecom, PSU Banks and Metal. 11:10 am: Nifty is trading up by 4 points and Sensex is up by 40 points. 10:55 am: Top losers in the morning trade are Graphite India (-2.16%) Supreme Industries (-2.00%) Dewan Hsg Fin. Corp. (-1.53%). 10:30 am: Top gainers in the morning trade are Oberoi Realty (2.60%) DLF (2.28%) Indraprastha Gas (2.21%). 10:15 am: Among the sectors, top gainer is BSE Oil & Gas, up 0.84 %, whereas the top loser is BSE Cap Goods, down 0.44%. 10:00 am: Market breadth is positive with 35 sectors advancing while 8 sectors are down. More stocks have advanced and the overall market cap of the entire market has increased. 9:55 am: While all Market Cap categories have gained, Small Caps are leading the market with Nifty Small 100 change of 0.34%. 9:45 am: SpiceJet gains over 9% as the airline announced the induction of 16 planes over the next 10 days. It has gained 14 % in the last 2 days. As per BSE, there has been a spurt in the volume traded (45.4 lakh shares on BSE) by more than 2.26 times. 9:30 am: TCS & Infosys are the top gainers ahead of their Q4FY19 numbers due today. 9:15 am: Indian equity benchmarks Sensex gained 50 points and Nifty topped 11,600 level with opening bell. Rupee traded at 69.04 against the dollar. The BSE IT index went up around 0.5 percent from the previous close. TCS & Infosys opened flat ahead of Q4 result. 9:05 am: Big turnout for India's 2019 Lok Sabha elections with 63.69% turnout in UP, 53.06% in Bihar, 57.85% in Uttarakhand. Markets are expected to open flat ahead of March-quarter earnings and on account of global cues. 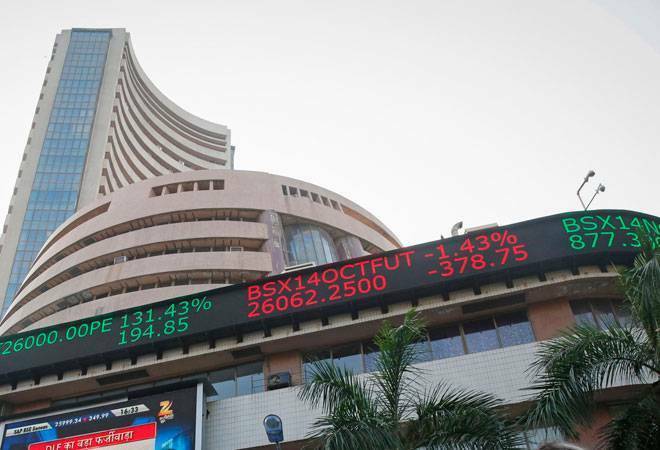 The Indian market ended flat on Thursday, following cautious trading by investors as the country went through the first the phase of Lok Sabha elections for the 91 constituencies yesterday. Benchmark indices Sensex and Nifty opened with tepid gains on Friday. BSE Sensex opened 50 points higher at 38,657 and NSE Nifty 50 rose as much as 0.21 percent to 11,621.40.